Der Artikel J. M. Coetzee: Youth wurde in den Warenkorb gelegt. Youth 's narrator, a student in 1950s South Africa, has long been plotting an escape from his native country. Studying mathematics, reading poetry, saving money, he tries to ensure that when he arrives in the real world he will be prepared to experience life to its full intensity, and transform it into art. Arriving at last in London, however, he finds neither poetry nor romance. Instead he succumbs to the monotony of life as a computer programmer, from which random, loveless affairs offer no relief. Devoid of inspiration, he stops writing and begins a dark pilgrimage in which he is continually tested and continually found wanting. Set against the background of the 1960s, Youth is a remarkable portrait of a consciousness turning in on itself. J. M. Coetzee explores a young man's struggle to find his way in the world with tenderness and a fierce clarity. New novel in paperback from Coetzee, the only author ever to have won the Booker Prize twice. Set against the backdrop of the 1960s, this is an evocative portrait of a consciousness turning in on itself, and of a young man's struggle to find his way in the world. 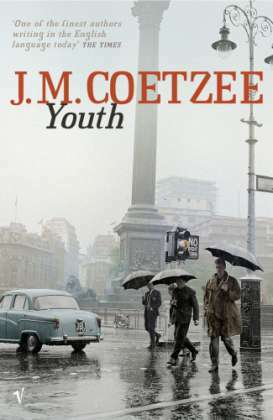 "Only a writer as great as Coetzee is capable of infusing meditation on the spoilt hope of youth with such clarity, fluency and poise" "Daily Mail". "Brilliant. A remarkable feat" "Sunday Times".